Chin augmentation or mentoplasty is growing in popularity because it can reshape or enhance the size of the chin giving a more balanced appearance. Dr. Ben Talei, a dual board certified facial plastic surgeon at the Beverly Hills Center for Plastic & Laser Surgery offers chin revision surgery and other revision surgery options specifically designed to address the issues left unaddressed from a previous chin augmentation. Chin augmentations are generally achieved through the use of chin implants. However, early chin implants only affected the center of the chin creating a more pointed, unnatural result. Dr. Talei and his team will work to correct these and other issues like augmentations that are too small or too large. Balance in chin augmentation is a delicate thing and based upon varying factors. For example, women generally need a soft, yet defined look while men are looking for something to achieve a stronger jaw line. This balance is achieved through the use of chin implants or by moving or reshaping the chin bone. Through chin revision procedures, Dr. Talei will be able to prescribe the perfect procedure for your chin. If you were an older recipient of a chin augmentation, you will be pleased to know that today there are an endless variations of chin implants, allowing patients the exact look they’re going for. During your consultation, you can explain the issues with your current chin augmentation and talk about your end result goals for a revision procedure. Each of Dr. Talei’s patients will receive a custom fit procedure to achieve their specific results. Dr. Talei is one of the most skilled surgeon in the Beverly Hills area. He holds a dual fellowship training in Facial Cosmetic and Reconstructive Surgery, Vascular Birthmarks and Congenital Anomalies with Laser Surgery. 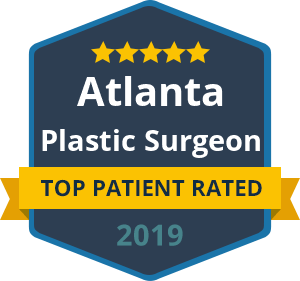 His artistic eye and precise hand in surgery are a winning combination that gives his patients the natural, unnoticed results they were always looking for. As will any facial cosmetic surgery, consultations are an extremely important part of the process. If you would like more information about this procedure, contact our Chin Revision Surgery Specialists at the Beverly Hills Center for Plastic & Laser Surgery and schedule your consultation with Dr. Talei.